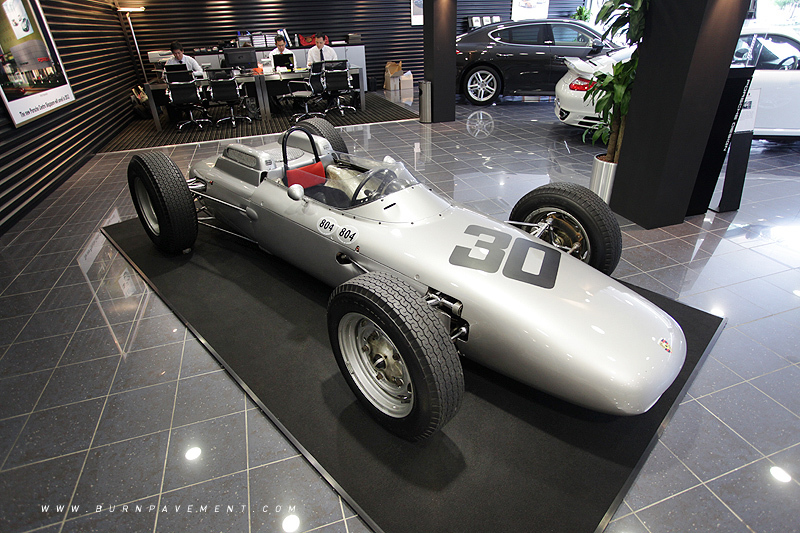 As part of the F1 festivities, the classic Formula 1 Grand Prix-winning 1962 Porsche Type 804 was in town. 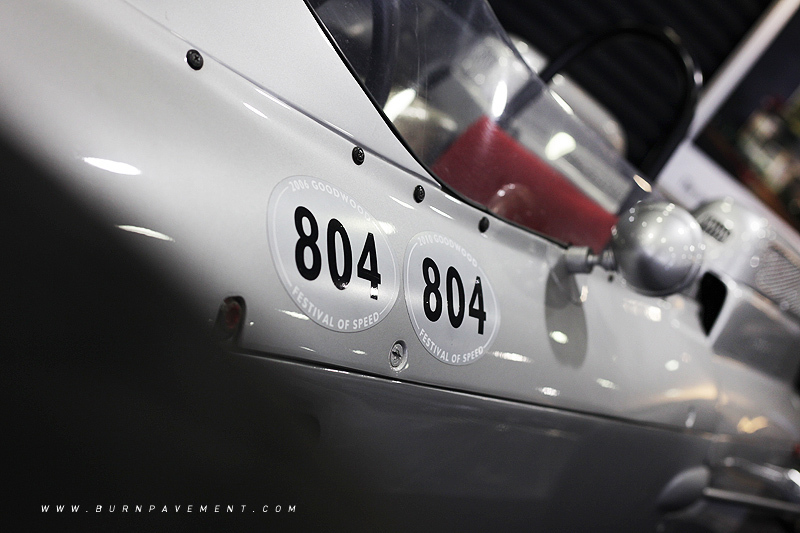 If you didn't manage to catch it, here's a look at the iconic race car. 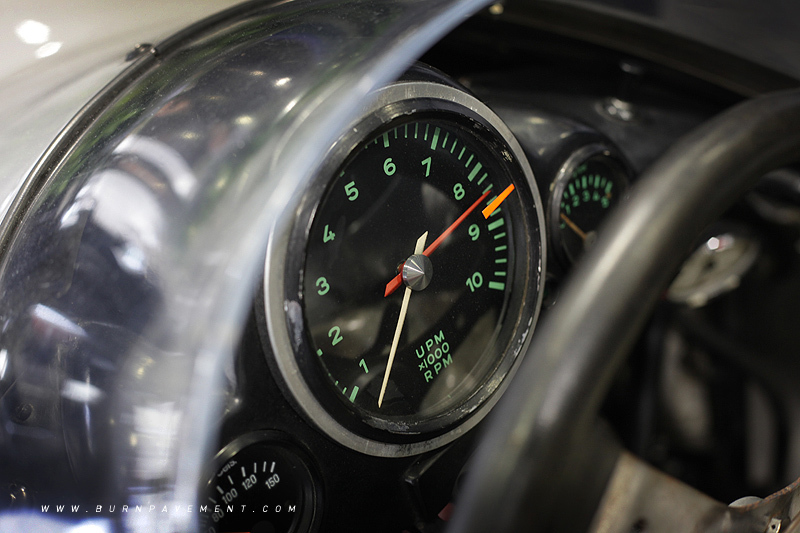 When the engine capacity for Formula 1 cars was reduced to 1.5-litres in 1961, this change of regulations helped to motivate Porsche to enter the Grand Prix arena since these new rules scarcely differed from those of the previous Formula 2 class. 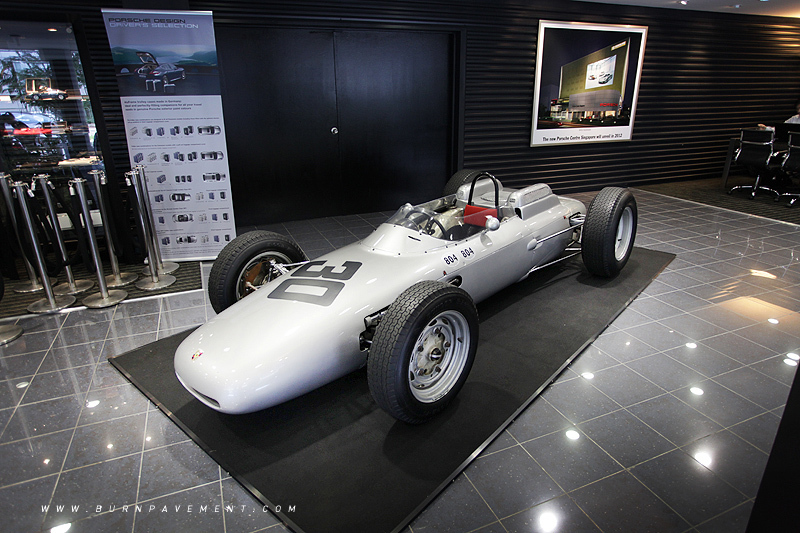 Porsche nearly achieved its first Formula 1 victory in 1961 with its modified Type 787 F2 chassis, with Dan Gurney finishing second at Reims in France, and at the Grand Prix of Italy and the USA. 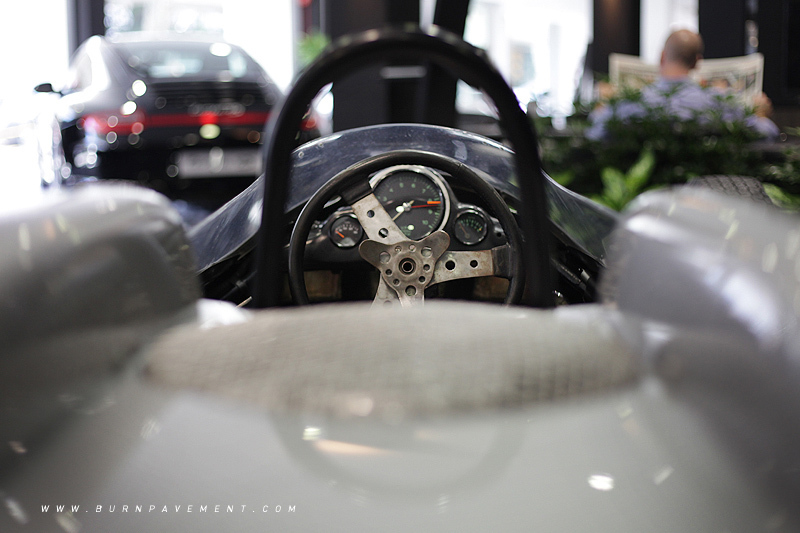 However, in 1962, Porsche developed an eight-cylinder Grand Prix racer intent on claiming that first outright win. 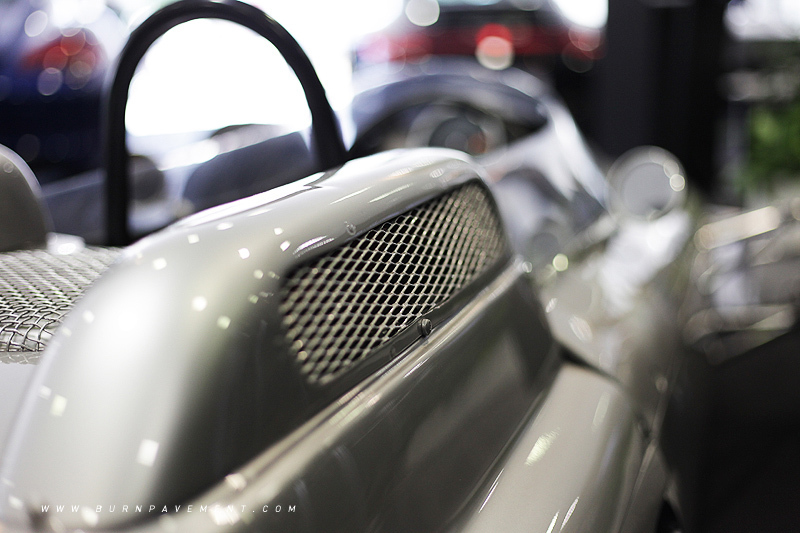 In concept and chassis, the Type 804 was similar to contemporary mid-engined racers. It also used an interesting disc brake design and a horizontal cooling fan on top of its air-cooled eight-cylinder engine. Everything came together in July 1962. Following a promising Monaco, the American Gurney won the Grand Prix of France at Rouen with a lap lead over South African Tony Maggs in a Cooper. A week later, Gurney beat Jim Clark’s Lotus to win again, this time in front of 300,000 enthusiastic spectators, at the the Solutide track in Stuttgart. 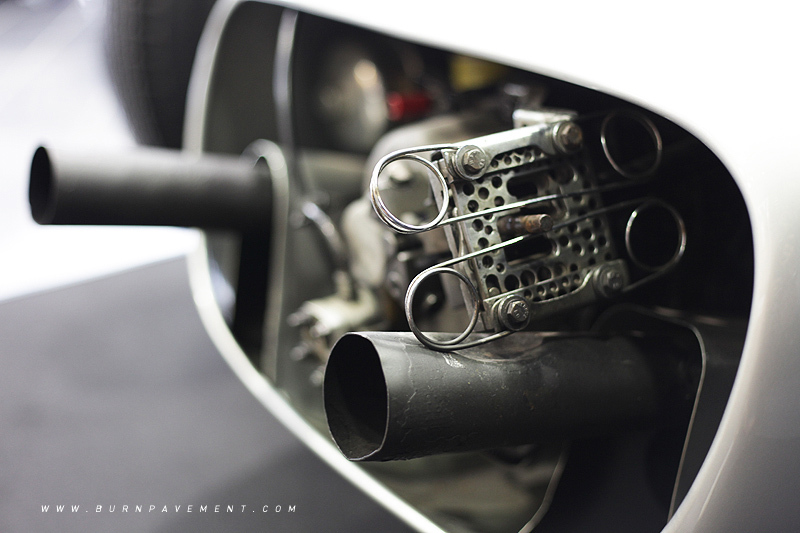 The Type 804 featured an eight-cylinder engine with horizontally-opposed pistons. The normally aspirated, air-cooled, two-valve with four shaft-driven overhead camshafts unit produced 180bhp at 9200rpm and was capable of a whopping 270km/h top speed. 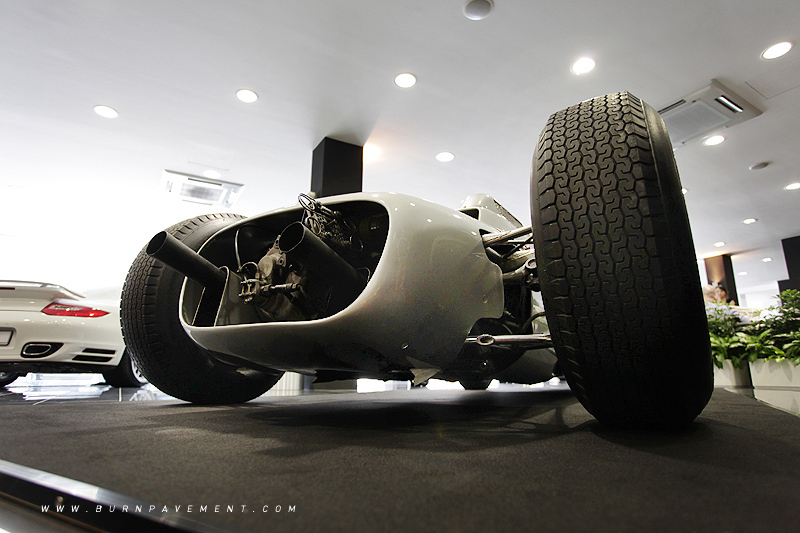 Towards the end of 1962, Porsche ceased its Formula 1 programme. Such technology, with only minimal carryover to production cars, required heavy financial outlays. Since motor racing was always the basis for new developments and improvements to production sports cars at Porsche, the company concentrated instead on GT cars and long-distance events once again.